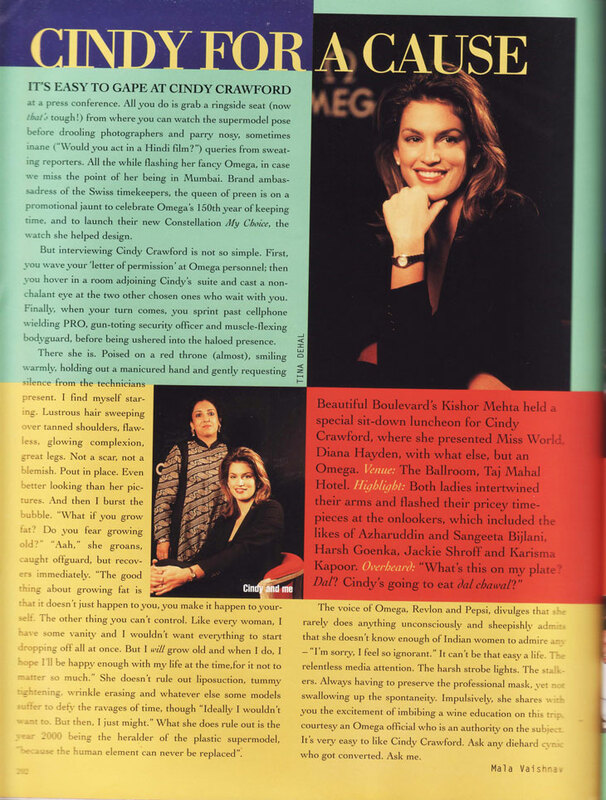 When we heard that Cindy Crawford was travelling to India, we scanned through our archives and pulled out an interview we had done with her 20 years ago. 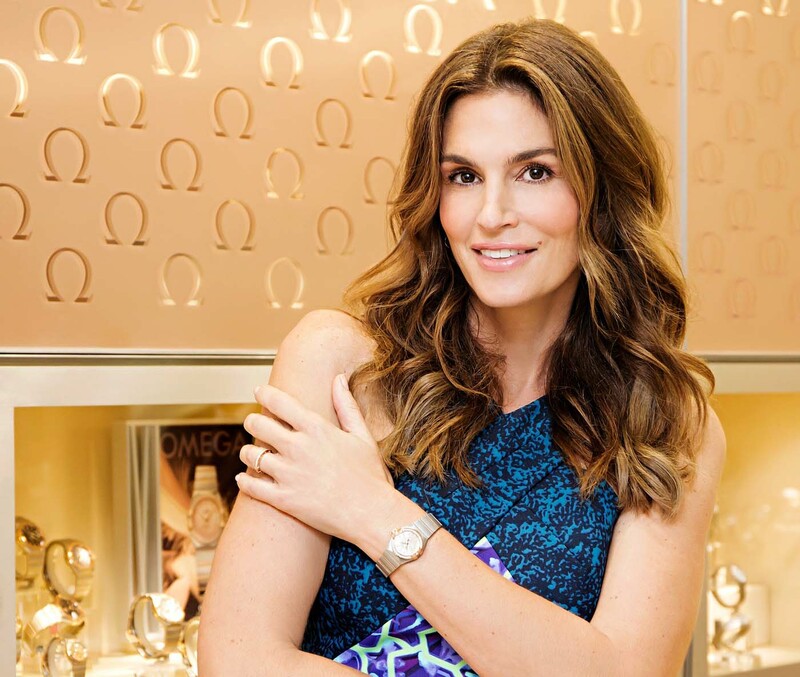 The brand ambassadress for Omega, is as high-spirited as she was on her last visit, the only difference being, this time she is accompanied by her kids “who are wandering around and getting very drenched.” Baffled by the Mumbai monsoon, she quips, “How do you get around? You just can’t stay dry! Don’t you have to worry about your shoes?” And we like her already! Looking slimmer than most of us would at her age, she is poised and rests comfortably knowing that her red pumps aren’t subjected to the maddening rain. Well, even though there are no tell-tale signs of ageing, you can tell that Cindy Crawford has grown with the brand. She says that her many travels and experiences have inspired and moulded her personal life. On that note, we indulge in a quick time travel session with Cindy Crawford.